Al-Qaeda in the Arabian Peninsula, specifically in Yemen, denied in an official statement on Friday that Saudi Arabia had captured and detained any of its commanders as the Gulf Kingdom otherwise claimed yesterday. 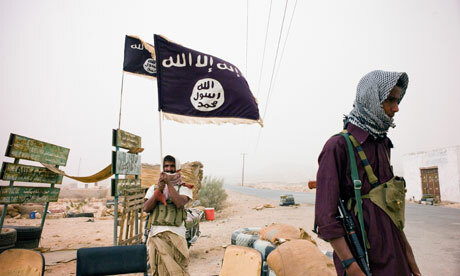 Saudi Arabia stated that it had arrested a number of Al-Qaeda leaders in Hadramaut province southern Yemen on April 26. On the other hand, Al-Qaeda described it as ” complete fabrication”. Al-Qaeda has some eastern and southern regions under control in Yemen, and is constantly in battle with Ansar Allah revolutionaries, whom are based in the capital city of Sana’a. In contradiction, the Saudi-led coalition has been launching a three-long aerial bombardment on Ansar Allah mainly, and the rest of the impoverished country, including civilian private and public properties.